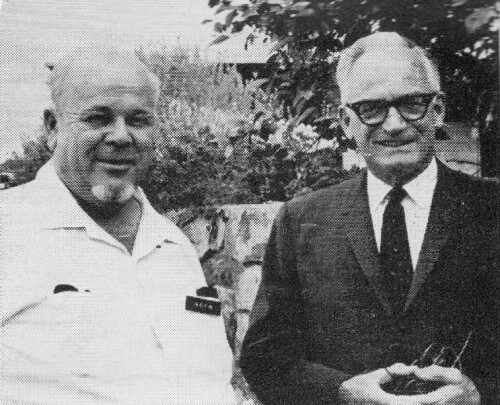 Senator Barry Goldwater (K7UGA), of Arizona, was an active Ham, as evidenced here in this June 1967 edition of the ARRL's QST magazine. Senator Goldwater also appeared in the May 1967 issue of QST. 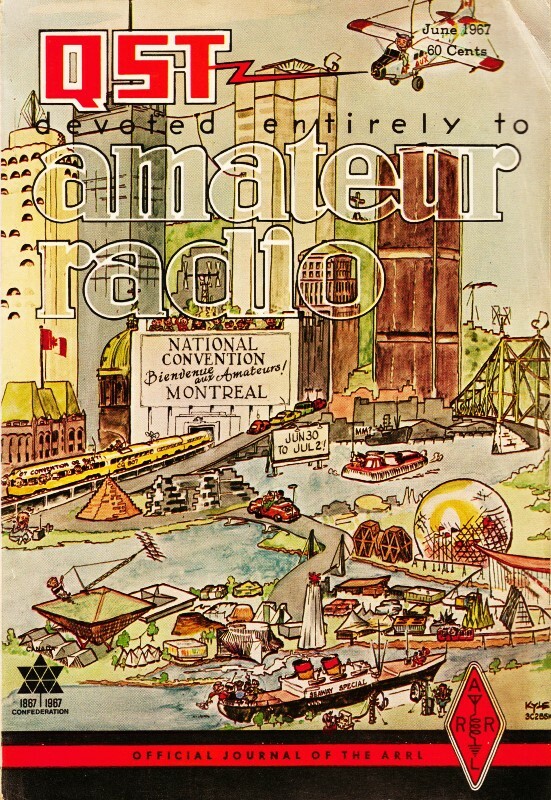 A lot of famous people have been or are currently amateur radio operators. A 1958 edition of Popular Electronics published a story title "VIP's Are Hams Too!," which included Arthur Godfrey (9K4LIB), Herbert Hoover, Jr. (W6ZH), and Arthur Collins (W0CXX). I wrote an article on radio host Jean Shepherd (K2ORS), of "A Christmas Story" fame. During a visit to Phoenix, Southwestern Division Director John Griggs, W6KW, chats with Barry Goldwater, K7UGA.